A trench is a trench is a trench. Ein Klassiker, der tatsächlich immer irgendwie geht. Klingt schon fast etwas abgedroschen, aber ist nunmal so. Ich möchte meine kleine Sammlung jedenfalls nicht mehr missen. Neben meinem Neuzugang von BURBERRY (mehr dazu bald an anderer Stelle), gehört der Dakota Trench von NANUSHKA zu meinen Lieblingen. Auch nicht nur im Herbst. Einfach übergeworfen und fest zugebunden, lässt sich das schöne Teil auch an etwas luftigeren Sommertagen tragen – einfach als Kleid. Kombiniert habe ich den Mantel mit den Teone Pumps von ATP ATELIER, einer Sonnenbrille von SUNBUDDIES und silbernen Vintage-Ohrringen. 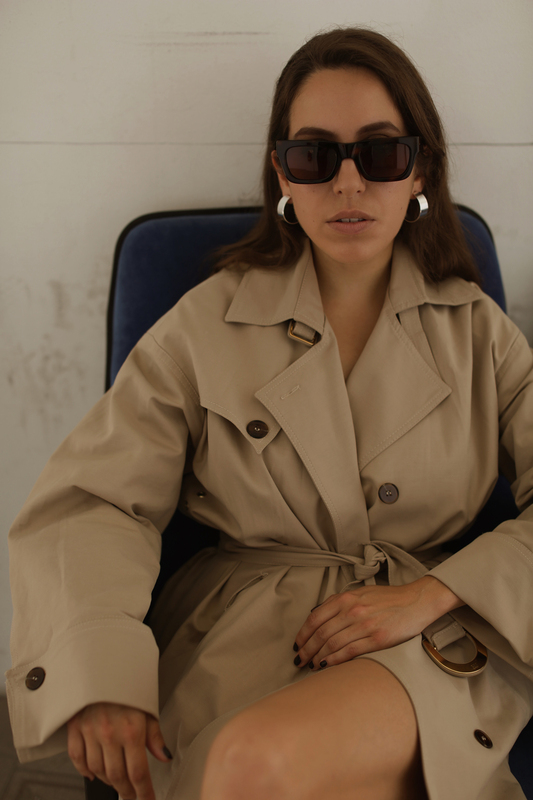 ENG // A classic trenchcoat, a piece I don’t want to miss in my closet. I have a small collection of classy trenchs. 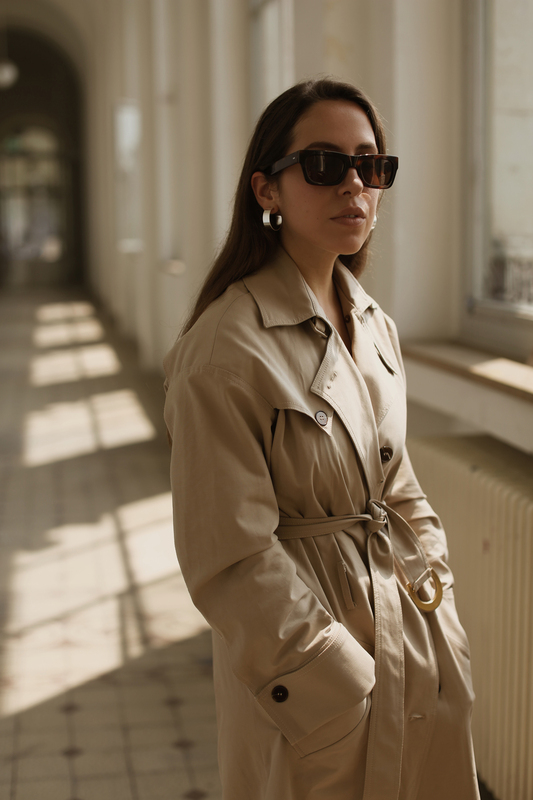 including my newest addition – a vintage BURBERRY Brighton – but my most worn coat is the Dakota trench by NANUSHKA which is so versatile you can even use it as a dress for cooler summer days, just like I did in this post. I wore the coat with my new Teone pumps by ATP ATELIER, SUNBUDDIES sunglasses and some silver vintage earrings. This entry was posted in PERSONAL STYLE and tagged ATP Atelier, Nanushka by Fiona. Bookmark the permalink. 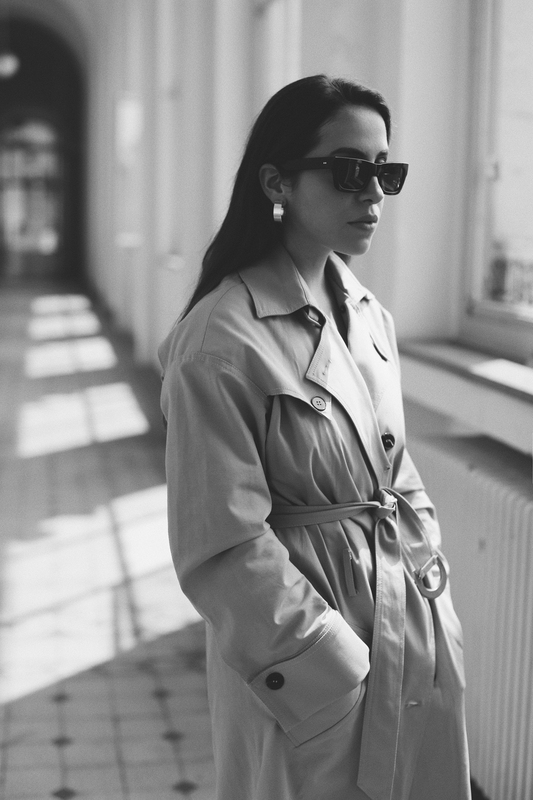 Trench coats are such an easily and effortless way to make your outfit become elevated to the next level. They can either be worn more casually or more dressy. They can also be worn in pretty much all seasons which makes them 10x better. It’s like you’re getting a four in one. 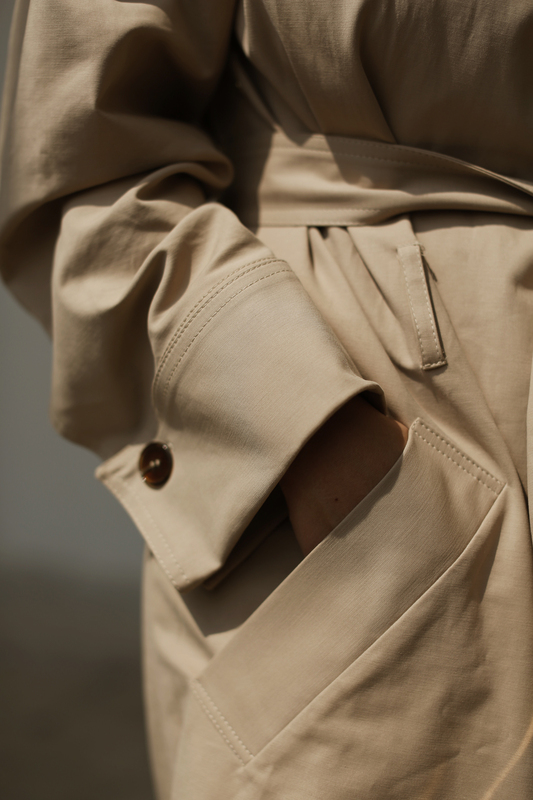 Now, there are also so many different types of trench coats such as ones that tie at the waist and don’t button, ones that only button, ones that do both. 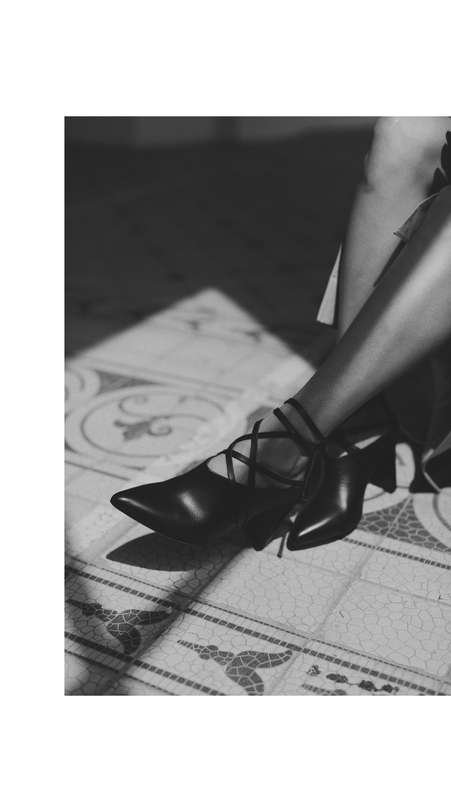 They will always be classic and in style too! And what a fabulous pair of boots. The shape of the toe is so unique. Have a wonderful week. Die Location ist ja wunderschön! Die Bilder sind wie immer so toll geworden liebe Fiona!